She blazed the trail. The next steps are up to us. Read "Good for all news"
Hope In Action. Prosperity For All. A healthy planet where people make compassionate choices to live sustainably and in harmony with each other, other animals and the environment we all share. 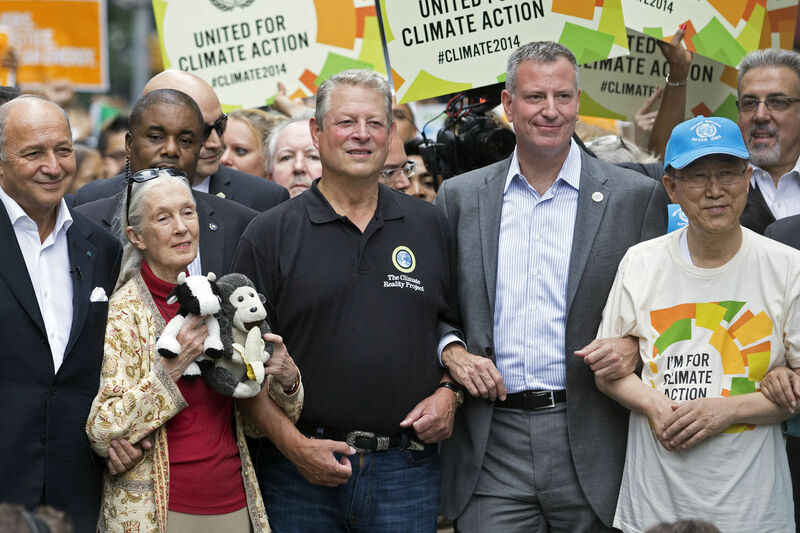 To undertake work on global and local sustainability issues and to work towards creating an informed and compassionate critical mass of people who will help to create a better world for people, other animals and our shared environment. Whether undertaking projects for impacts on sustainable development issues, for improved social, economic, or environmental outcomes, or conservation research, or advocating for change, or educating and supporting individuals around the world to make a difference, we recognise the interconnectedness of all elements: animals, people and the environment. A.P.E. — We must attend to each element, in consideration of the others, for all to prosper. JGI does this. 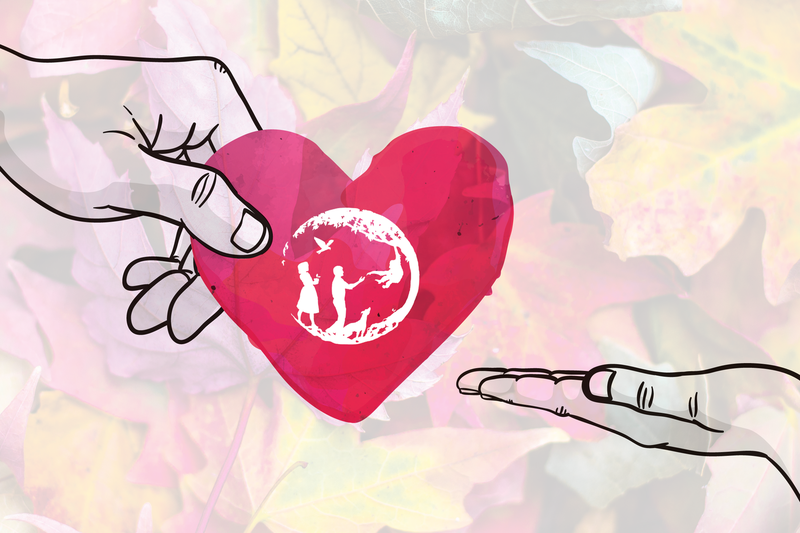 JGI strongly believes that each one of us makes a difference, and thus works to inspire, empower and facilitate individuals to turn their hope for the future, of animals, people, and the environment, into action and positive impacts. 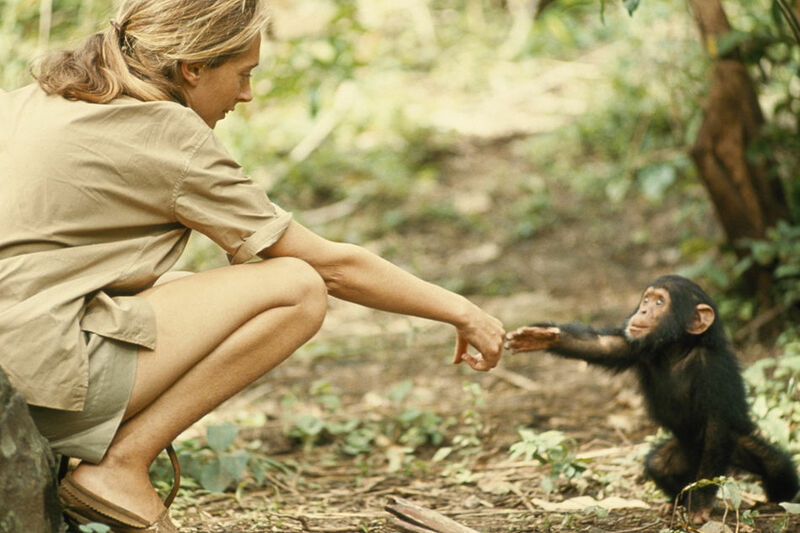 The Jane Goodall Institute undertakes projects that directly impact social, economic and environmental outcomes for animals, people and our shared environment. 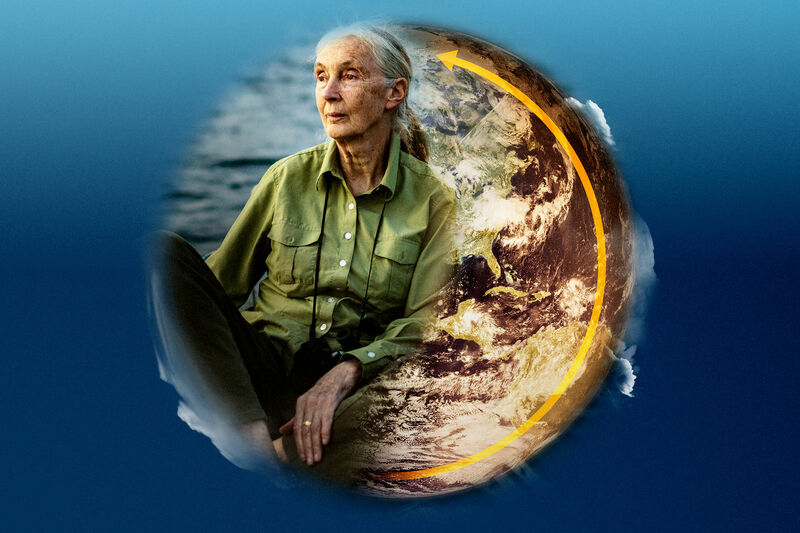 Collaborataiton with local communities is key to manage their impacts and develop positive long term effects and the Jane Goodall Institutes community-centered approach provides locals with the tools needed to manage natural resources for economic growth and environmental prosperity. From building medical clinics, supporting education, diminishing threats to wildlife and their habitats and supporting sustainable livelihoods, our sustainable development initiatives are making a difference. People living along a wildlife corridor gained access to clean water. Young people attended 7 new schools stocked with educational materials, desks and supplies. 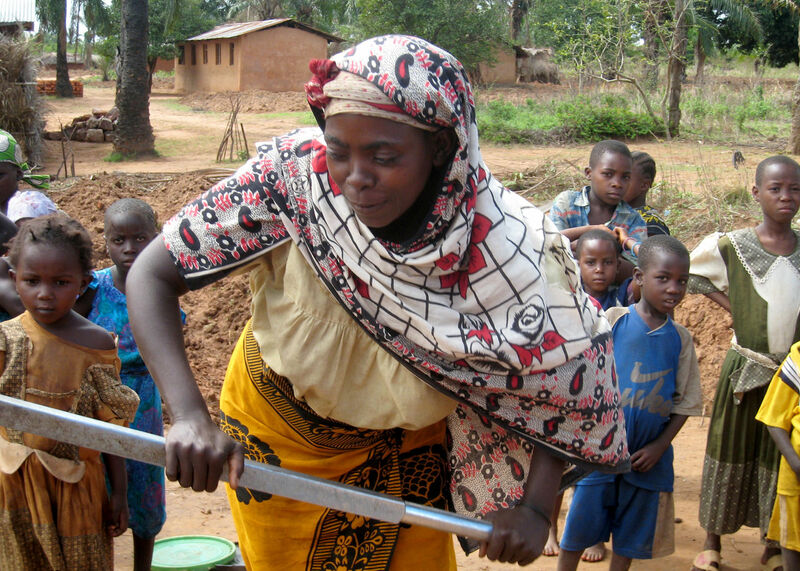 Amena Hassan saves as much as eight hours in a day fetching water now that TACARE has installed a sanitary water system in Kasuku village. 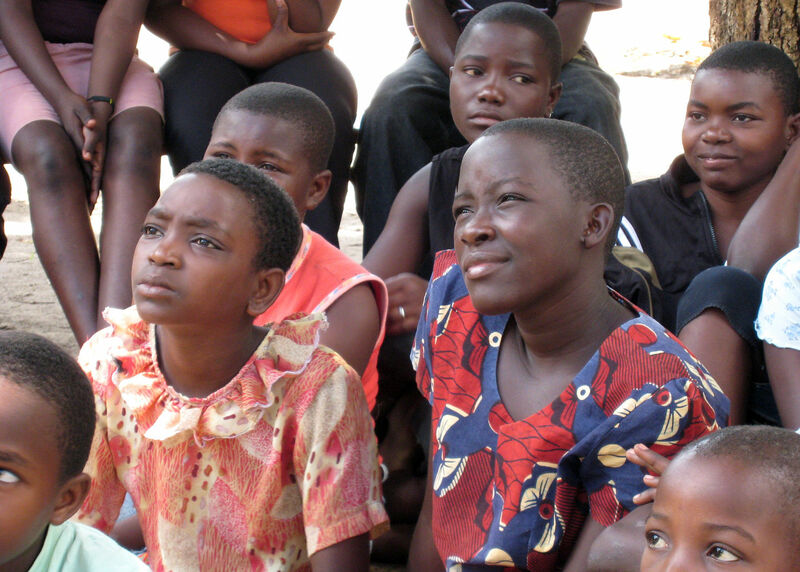 Girls have returned to school after receiving mentorship from peer education. Residents of Yatima Orphanage in Dar es Salaam, Tanzania. Every young person at Yatima will be sent to secondary school through the JGI Roots & Shoots scholarship program. 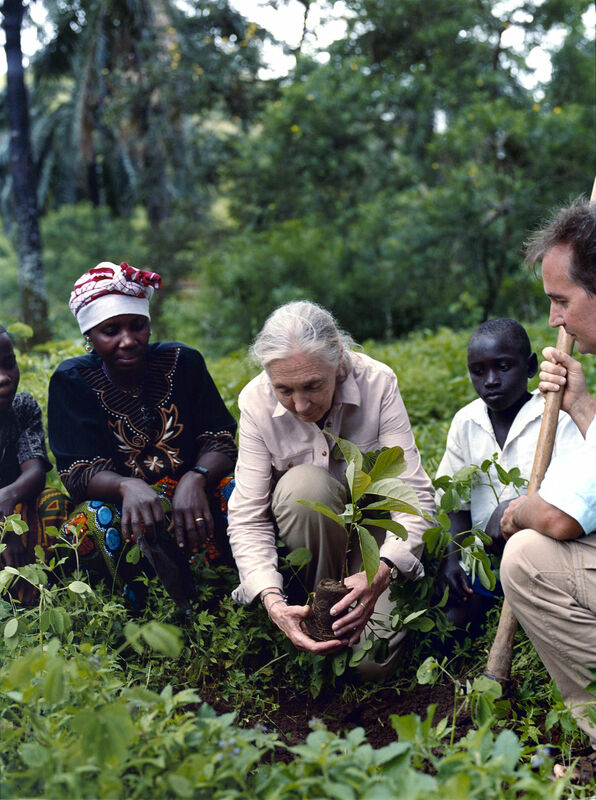 Seedlings distributed to community members in the Democratic Republic of Congo to reduce pressure on forests. 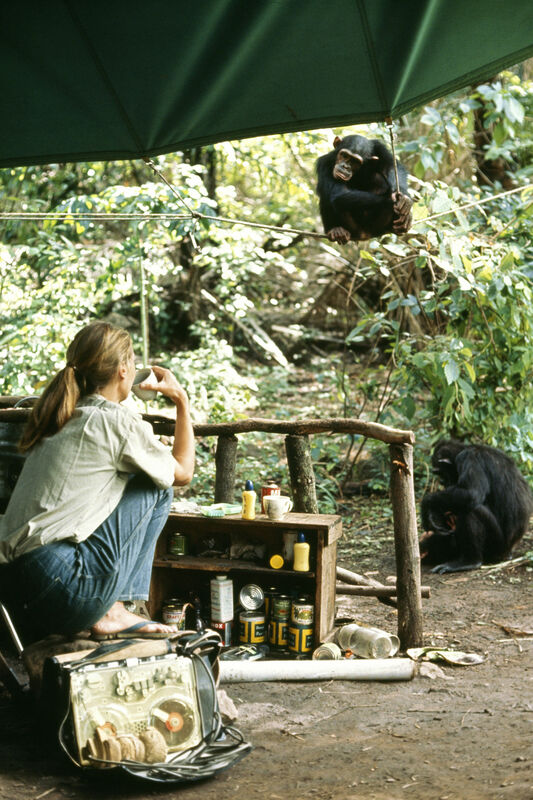 Over 55 years ago Dr. Jane Goodall arrived in Tanzania to help understand our closest living relative the chimpanzee. 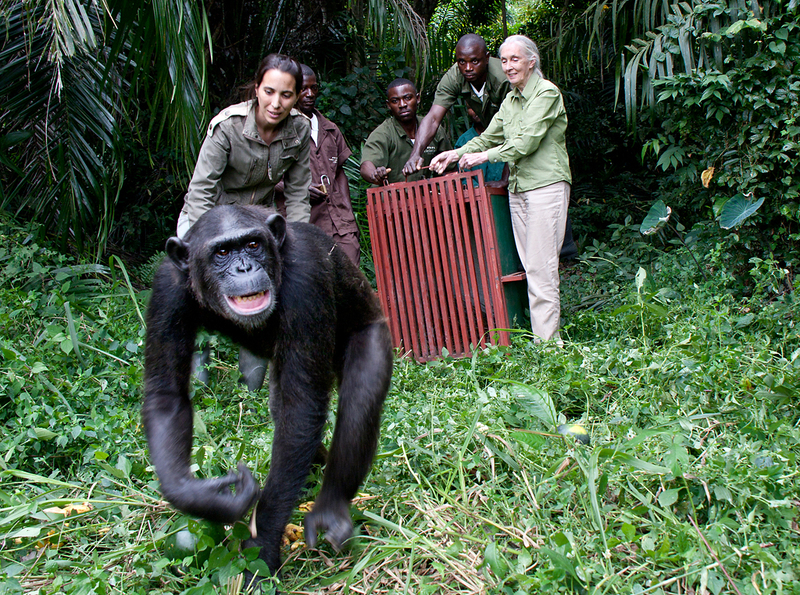 Today we continue with chimps at the heart of our mission–advancing Dr Goodall’s research and raising awareness for the plight of great apes. Our work on the ground in Africa allows us to actively protect and rehabilitate victims of the illegal bushmeat and exotic pet trade. Working together with authorities, confiscated orphan chimpanzees–too young to be released into the wild are brought to our sanctuaries where they receive medical treatment, food, safe habitat and the opportunity to socialise with fellow primates. 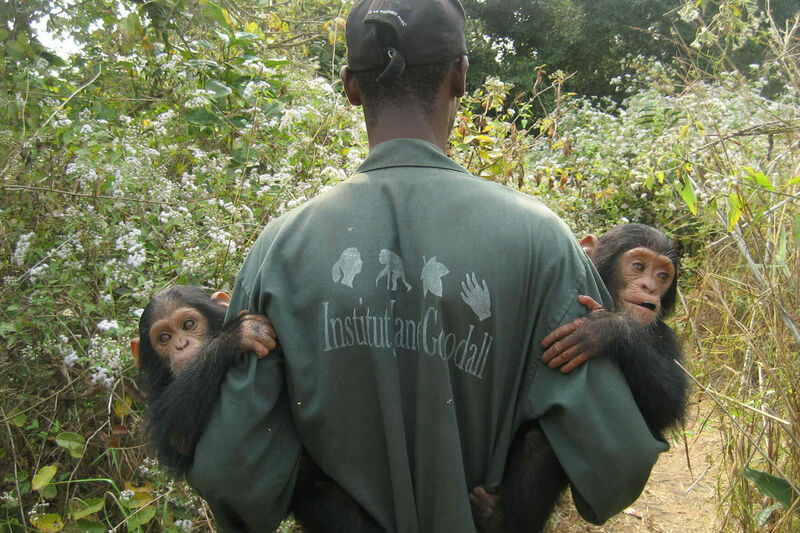 Found sick and close to death, Wounda was rescued by teams at the Tchimpounga Chimpanzee Rehabilitation Center. Prior to his rescue, Gregoire survived more than 40 years of solitary confinement in a barren zoo cage. 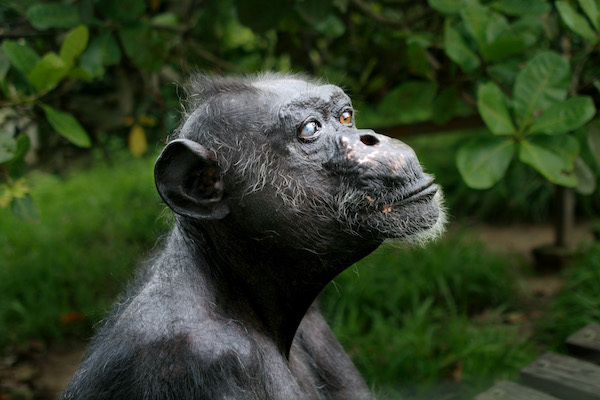 Before his death in 2008 he was approximately 66 years old—the oldest known living chimpanzee in Africa. Hectares of newly established reserves in the Masito-Ugalla ecosystem of Tanzania. 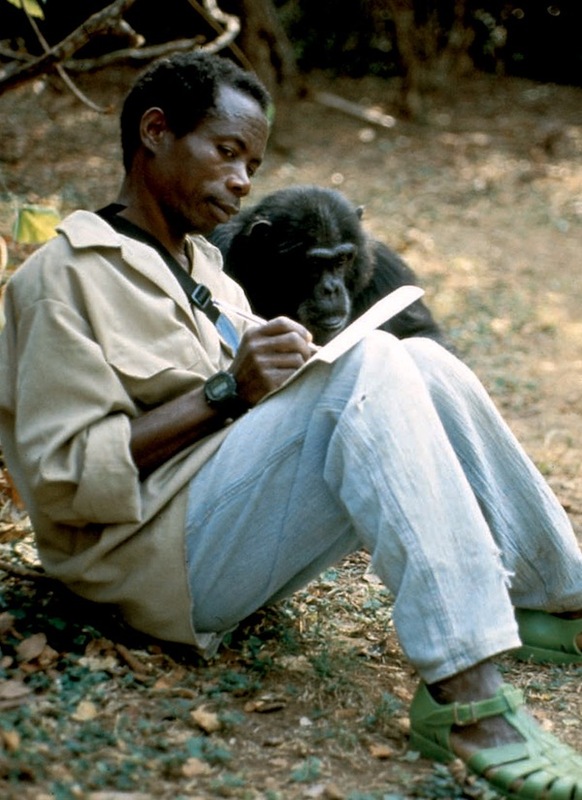 “Mzee” Hilali Matama was hired 1968 as the Gombe Stream Research Center’s first field assistant and observed the chimpanzees for more than 36 years. Community members trained in the use of forest monitoring technology. 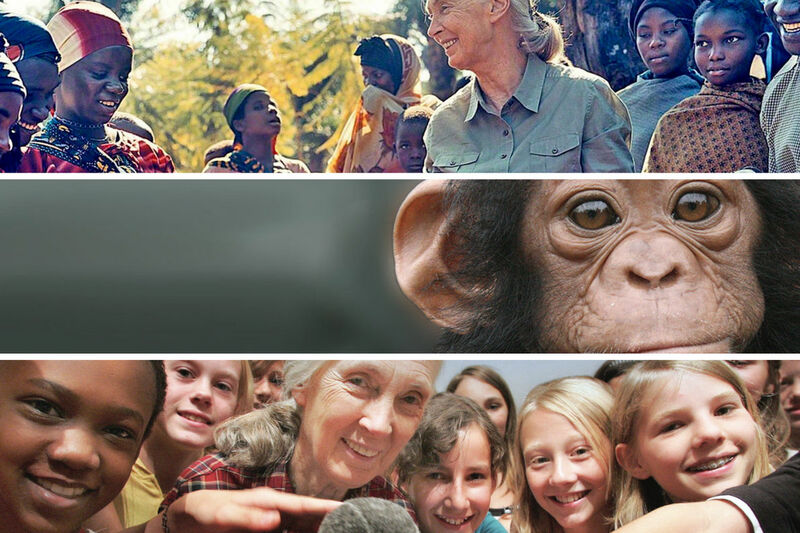 The Jane Goodall Institutes world-renowned education programme Roots & Shoots builds on the vision of Dr. Goodall to place the power for creating community based action in response to big challenges in the hands of future leaders. 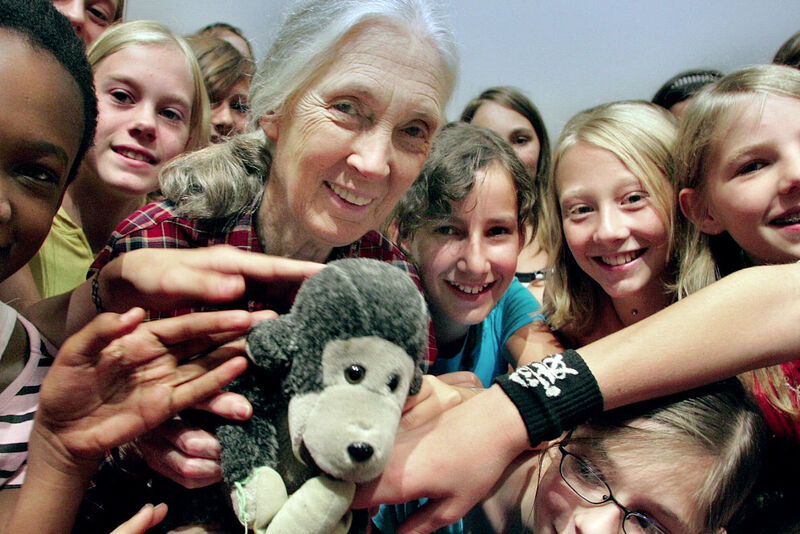 Sustainability education is also provided by the Jane Goodall Institute via our projects and campaigns. 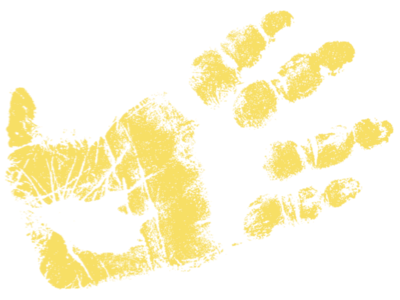 Everyone can make a positive difference for the posterity of all, with small actions or big impacts. The starting point - Education and inspiration to put hope into action. Members of Roots & Shoots around the world. 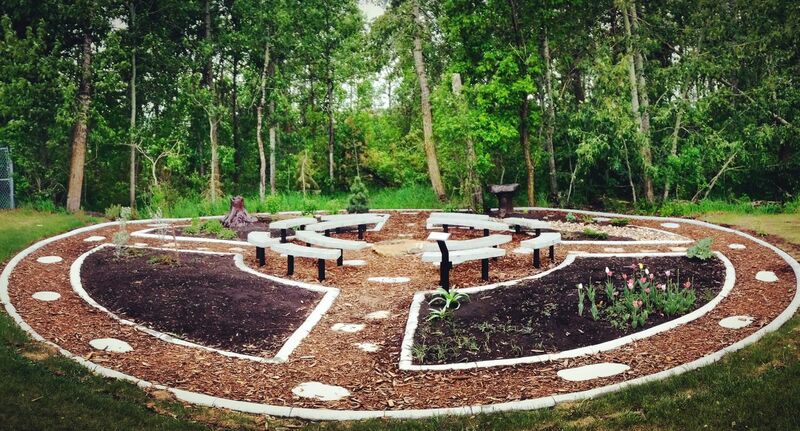 Terrace Ridge School, Alberta, Canada, designed and built an outdoor classroom in the shape of a Cree Medicine Wheel. Students lead the planting and maintenance each year, ensuring they use native plants that create wildlife habitats. 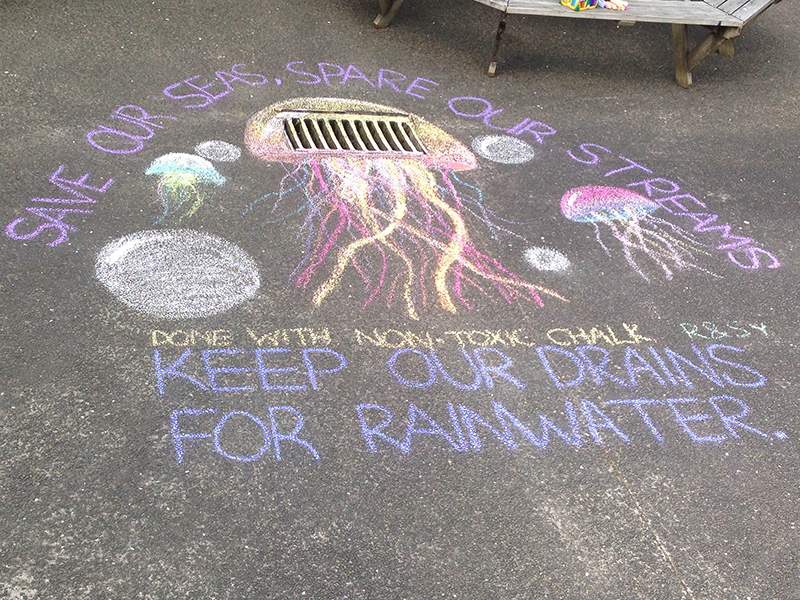 The Roots & Shoots groups at Kristin school, in Auckland, work on projects but also help to make Kristin a more environmentally aware school. 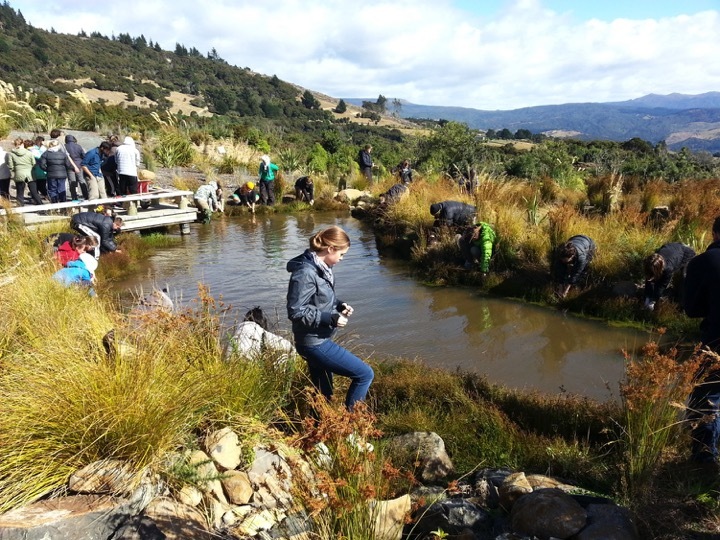 A Roots & Shoots group at Orokonui Sactuary, in Dunedin, work to plant and prepare the takahē area within the sanctuary. Project reported by Roots & Shoots members around the globe. Countries around the globe involved in the Jane Goodall Institute Roots & Shoots programme. 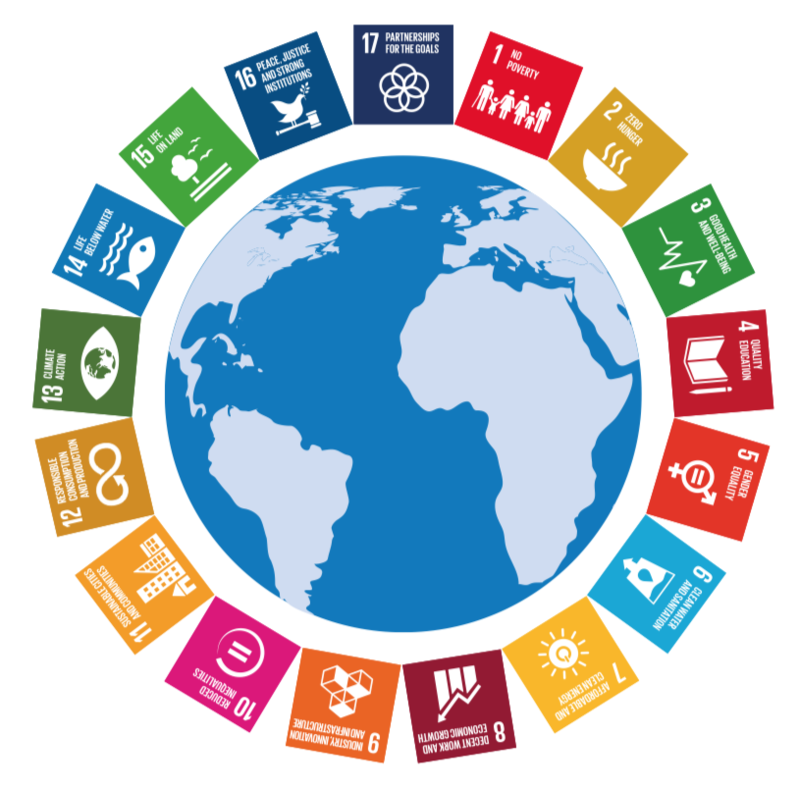 The initiatives and actions of JGI address all 17 of the United Nations’ Sustainable Development Goals, which strive to end poverty, protect the planet and its inhabitants, and ensure prosperity for all. You can make contributions towards achieving the goals from your couch, house, work or classroom, with JGINZ.